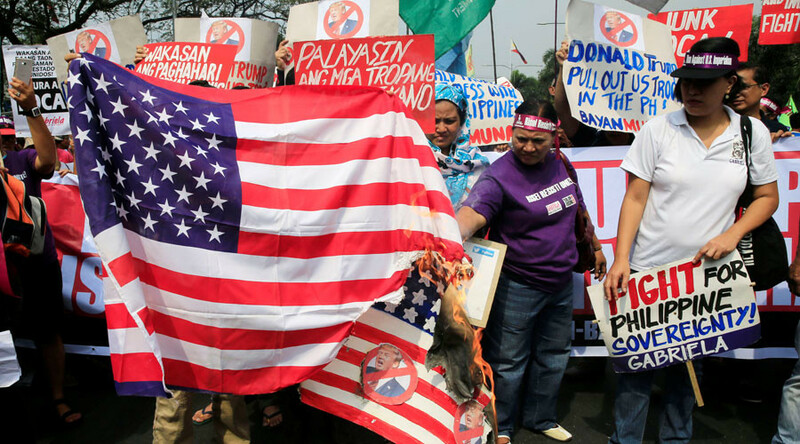 Hundreds are rallying to protest against US President-elect Donald Trump near the US Embassy in Manila, the Philippines, chanting “Dump Trump” and burning the US flag. 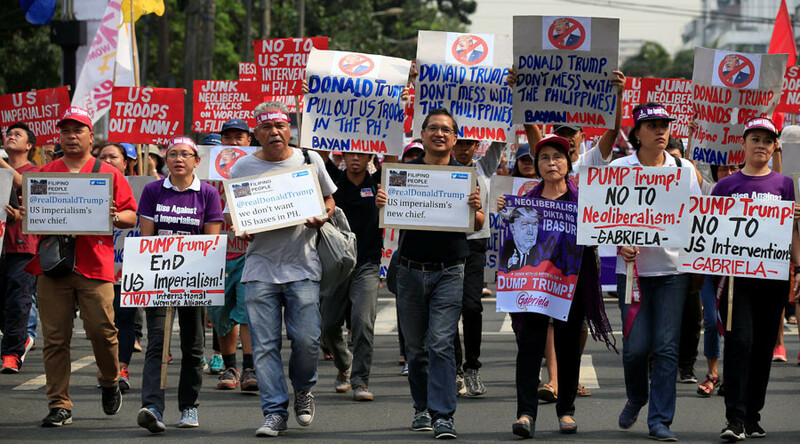 About 300 protesters, mostly Muslim and leftist activists, participated in the rally, holding posters reading, “@realDonaldTrump hands off Filipino immigrants” and “Trump you’re Trash.” They also threw photos of the president-elect into rubbish bins. 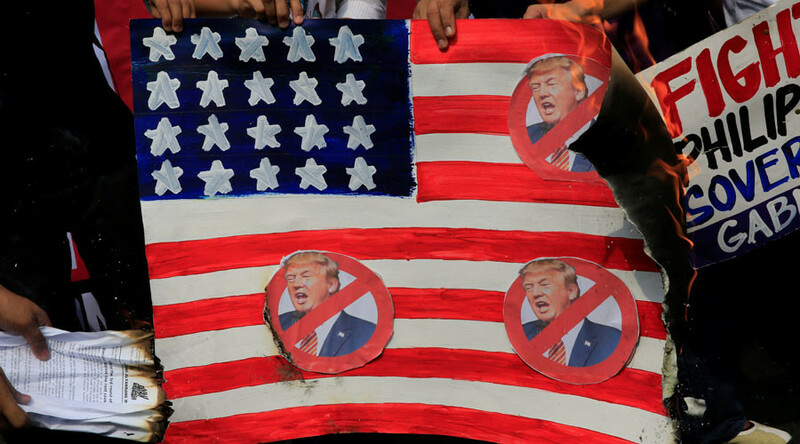 “It is alarming to know that an accused sexual predator, a known racist, sexist, xenophobic man is assuming the presidency of the strongest capitalist country in the world,” Joms Salvador, secretary-general of women’s group Gabriela, told AFP. She also voiced fears over the fate of Filipino workers. “We are very concerned about Filipino workers in the US dealing with a rise of racism. Some Filipinos there are getting paranoid about their personal safety and their job security,” Salvador said. The Philippines is an ex-US colony with strong ties to the US, with, for example, joint military exercises being regularly conducted between the two nations. Tensions between the two countries, however, began to appear after Philippines President Rodrigo Duterte came to power. In mid-December, Duterte warned Washington that he would cancel the pact allowing the US military to train in the Philippines, unless the US renews a hefty aid package for the Philippines. Earlier that month, the 71-year-old president confessed that he had faked an illness to avoid meeting with US President Barack Obama at the APEC summit in Lima, Peru in November.